Superbly located at the base of Mt. Buller, 5 minutes to toll gate entry. This attractive, charming 2 storey, 4 bedroom, 2 bathroom, Norwegian inspired home makes the ideal getaway summer or winter. Sleeps 10 - 16, Ideal for 2 or 3 families & couples also. Telebu is fully self contained with all the modern conveniences available to our guests. Relax around the cosy, open fire after a day out at the snow. Set on just 1/2 acre, with quiet, secluded gardens surrounding, abundant bird life that you can hand feed & kangaroos right at your doorstep. BBQ provided outside on decking. All year round we know you will be happy with your stay at Telebu & want to tell your friends about this one. Doona's, pillows & blankets provided for all bedding. The high country has so much to offer. Mt. Buller, Mt. Stirling & Mansfield. 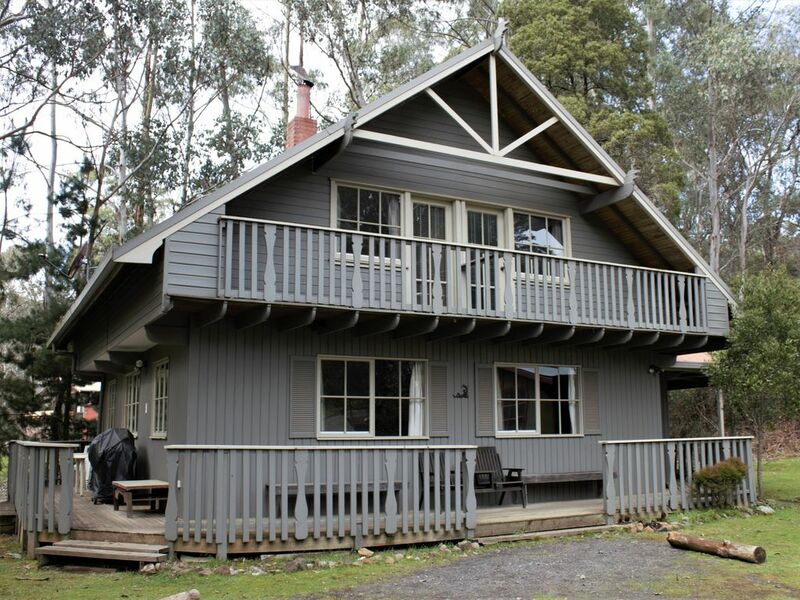 Snow, skiing, snowboarding, tobogganing, sightseeing, picnics in the great outdoors, mountain bike riding, bush walking, horse riding, 4WD, water skiing, swimming in near by Delatite river as well as trout fishing for the keen fisherman, great local wineries also. Beautiful place and great location- the house is exceptionally cosy and spacious and very well equipped- everyone loved it. Fantastic! We had 12 adults stay at Telebu and everyone thought it was great! Telebu is well equipped to have a large group of people stay. The lay out is perfect for everyone to socialise and get comfy around the two fires. Thanks so much Deahne glad you all enjoyed your stay at Telebu. Look forward to you staying again with us in the near future. It’s easy to accomodate 10+ people with plenty of beds and 2 seperate toilets from 2 bathrooms. We all enjoyed our stay there. The steps is a little bit noisy at night since people need to go to toilet downstairs.